Watch this old promotional video for the Plantation on St. George Island. Watch this 30-minute program about the Seafood Heritage of Franklin County, Florida. The real estate sales volume in Franklin County increased 22%, from $30.4 million in 2016 to $37.1 million this year through May. The number of closed sales was 89, compared to 80 in 2016, for an 11% increase. The average sales price is up and inventory is down. For more information and a detailed analysis, here is a link to the statistics provided by the Realtor Association of Franklin & Gulf Counties. Join us in person or watch live streaming on Facebook @BHHSBPOF. Learn the basics of buying property here on the island. For those of you I’ve know a long time, you may remember when we did buyer seminars back in the 1990s at Oyster Cove. It was a fun way to help people who were thinking about buying real estate on the island. 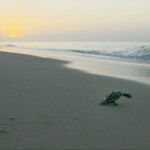 St. George Island was named one of the best beaches in the South by Southern Living Magazine. In the early 1970s, Leisure Properties produced a promotional film for marketing St, George Island. Narrated by actor Jose Ferrer, the film features local residents. “AS CLOSE AS IT GETS.” 1371 East Gulf Beach Drive, SGI. $699,000. Charming Bayfront cottage on the East End, completely renovated in 2013-14, combines function with style. New dock w/10,000 lb lift and boat slip. Ideal location for boating & fishing activities. Designer finishes throughout the home. Wood flooring, wood ceilings, upscale appliances, gas cooktop, laundry, soft neutral colors throughout. Great rental property. BAYFRONT. 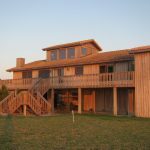 1371 East Gulf Beach Drive, SGI. $699,000. Sheriff’s Point – 327 Gander Street, SGI. $699,000. 4 BR, 3 BA, 2800 sf. Ideal location that fronts the bay and a canal with water on two sides. A vertical, concrete seawall, anchored by rip rap, protects the land, and there’s a dock on the bay. The house has cypress board & batten siding and a concrete tile roof. High quality, custom Andersen windows and doors. Interior walls & ceilings are solid cypress. Floors are tile, bamboo & carpet. Kitchen has granite countertops & stainless appliances, BR closets are cedar lined & there’s ample storage. Bonus room approximately 900 sf. Elevator. ONLY $95,000. 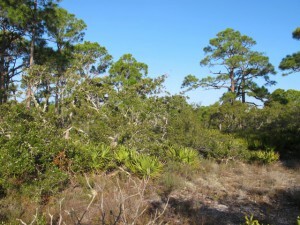 Enjoy easy access to the white sand beaches of the Gulf of Mexico with this choice 1-acre lot in St George Plantation. The 2nd tier location offers privacy as well as gulf views with an almost square configuration. With lush, natural vegetation and trees, you’ll find an ideal building site for your beach home. The walkway to the beach is cleared and boardwalks cross the dunes. State-owned bayfront property at Nick’s Hole is located across from this lot and the Plantation airstrip is nearby. 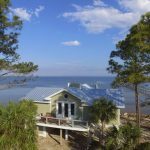 The Plantation is a gated community on the west end of St George Island with five miles of beach, 24-hour security, clubhouse, pool, tennis, bike paths, boardwalks to the beach at regular intervals, underground utilities, airstrip and architectural restrictions. Walk this homesite to appreciate its merits! GULF FRONT LOT: 1056 East Gorrie Drive – $715,000. 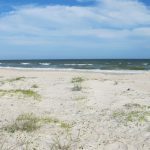 Enjoy the white sand beaches of St. George Island with this beautiful gulf front lot in a prime location on East Gorrie near 11th St. The building site has 100 gulf front ft in a quiet, residential location. St. George Island is a resort island in the Florida panhandle with 22 miles of white sand beaches connected to the mainland by a bridge. GULF FRONT LOT: 1056 East Gorrie Drive, SGI. $715,000.